I am currently looking into ways that my sculptures can incorporate plants, creating a figure that brings nature into the domestic setting. These little hand painted back-packs are the current solution, although I am thinking I will have to scale up the spirits so they can carry more plants! 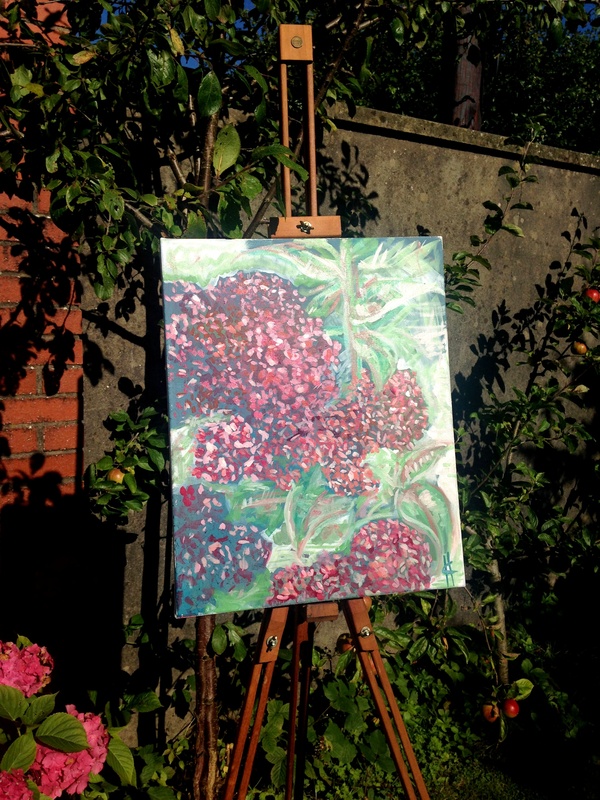 Today I am enjoying the sun and doing some floral oil painting in the garden.